We’re pretty sure how hard it is to pee in public restrooms given how they’re so...unhygienic. Gas station bathrooms come in very close at second place, but public restrooms are indeed a living, breathing, terrifying horror movie, show and video game all wrapped into one. Yes, it’s THAT bad! But the most degrading of incidents is when you’re on the go with not a single restroom from miles. 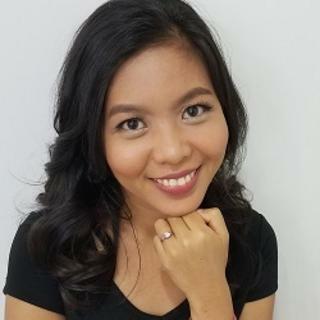 As a result, women are forced to sacrifice their dignity by relieving themselves behind a leafy tree, under some tall grass where disgusting insects roam around or anywhere else where your privacy is likely to be violated. This is where female urination devices come in. As you can see, this peculiar device allows women to pee while standing or do so like a guy. 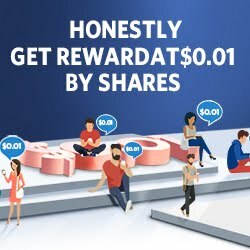 We know it’s tempting, but please refrain yourself from turning this into an embarrassing meme or debate. Freshette is a gem for outdoor enthusiasts that comes with a number of benefits. Not only is it useful in times of unsanitary restrooms or when there isn’t one in general, but it also protects you against insects, thorns, rain, snow, wind, poison oak and ivy and uneven terrain. It is also incredibly light, environmentally-friendly, reusable and has its own custom travel pouch. 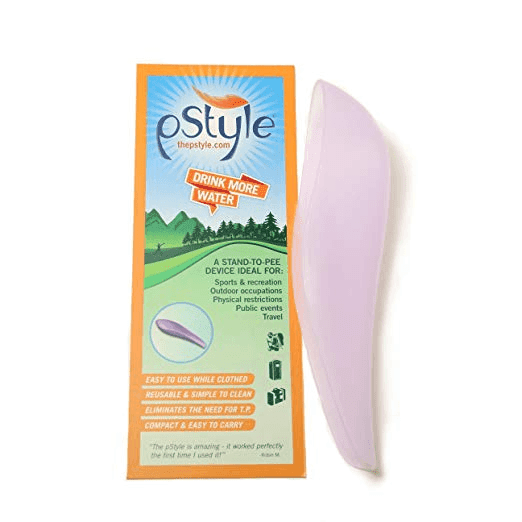 With the pStyle, you can safely pee standing up and you don’t even have to undress. It is lightweight, easy to carry around, easy to wash, reusable and it even eliminates the need for toilet paper. Being made of rigid plastic, the pStyle can easily be maneuvered through your clothing. 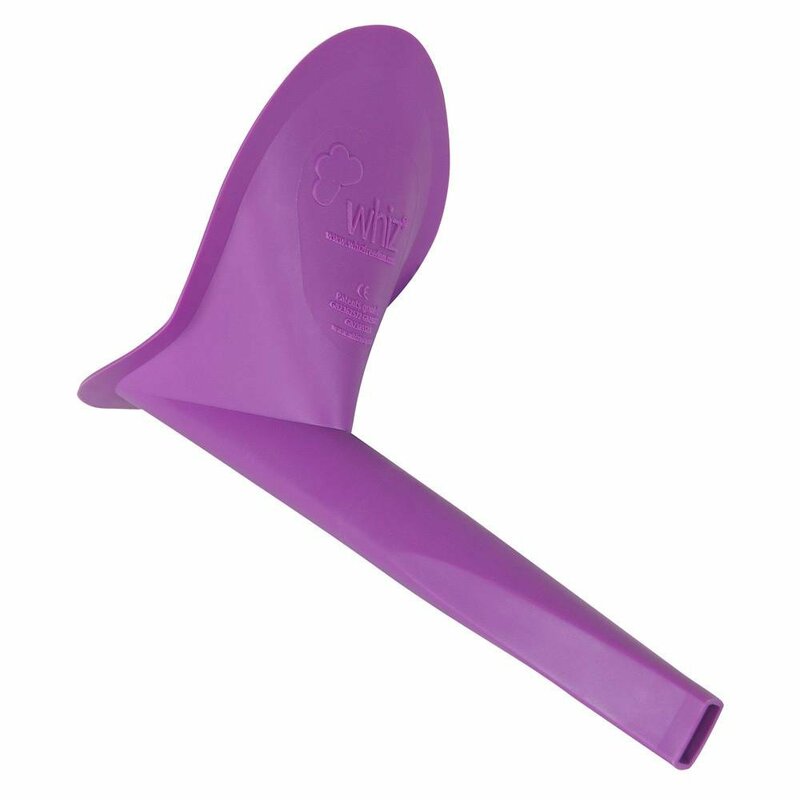 The unique shape of this apparatus keeps the flow away from your body. 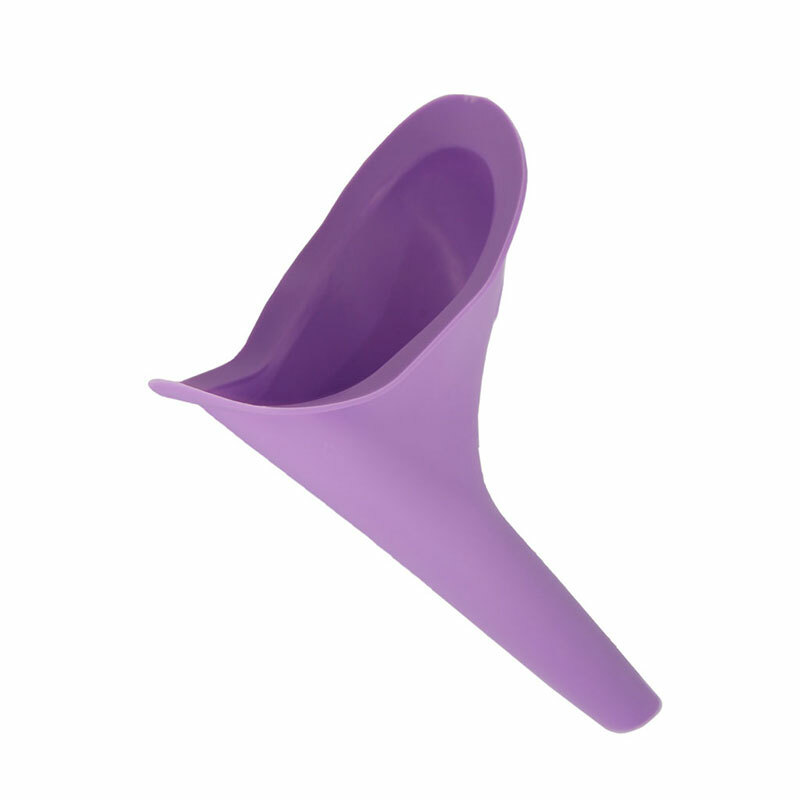 The She Wee Female Urination Aid is another device helps women pee while standing and without undoing their clothing. It is one of the most widely used funnels that is reusable and easy to wash off. It is especially used in a wide range of occasions such as climbing, skiing, cycling, pregnancy, armed forces, fishing, canoeing, sailing, kayaking and more. 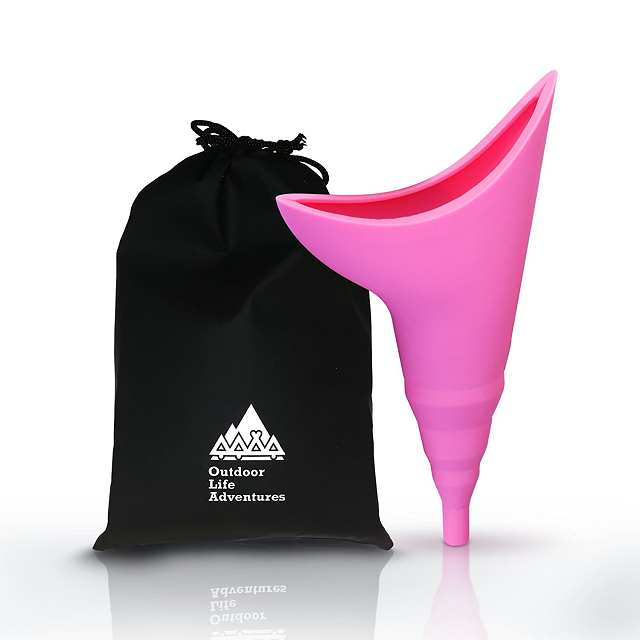 If had trouble holding your flow in while skiing, hiking and climbing, then Whiz Freedom’s Feminine Funnel is the solution for you. It is made from latex-free, medical-grade, water repellent and anti-bacterial elastomer. And just to make it more interesting, you can also use it for those nasty roadside pit toilets, without having to hover. 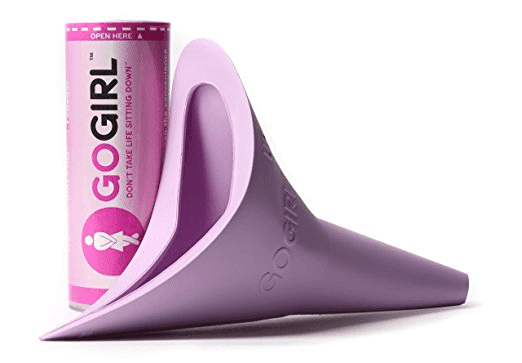 GoGirl is made of soft, flexible, moisture-proof and medical-grade silicone, which you can dispose of after use or reuse if you like. Just hold it against your body and… well, you know the rest. You don’t have to worry about messing or spilling. Because it’s flexible, it can easily fit right into your purse, pocket or glove compartment. In other words, it is the most portable, high-end, state-of-the-art bathroom you could ever have. Pibella is one of a kind as it can fit women of any age or size and are able to use it whether they’re sitting or standing. It is made of non-allergenic, non-irritant, eco-friendly materials that is 100% recyclable. It is also easy to rinse and sterilize in boiling water with a temperature of up to 275°F(135°C) max. Embark on an adventure where you no longer have to hold it in for hours or make a shameful mess of the situation. Outdoor Life Adventures’ Female Portable Urination Device is a blessing for troubled outdoor gals who are usually forced to take a leak in the wide-open bug-infested wilderness or dodge reprehensible public restrooms. 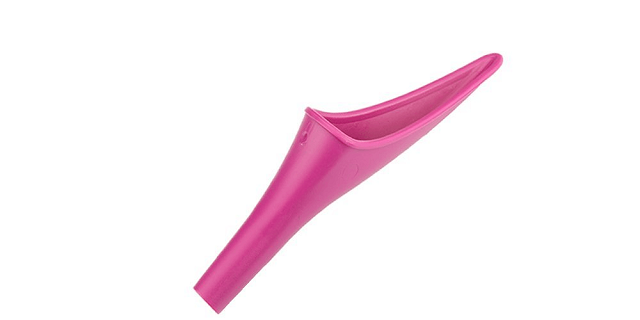 The flexible funnel fits like a glove and prevents nasty leaks and spills. 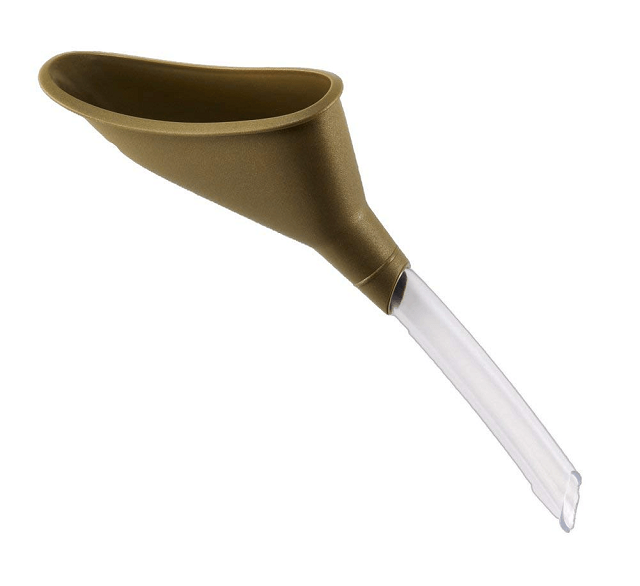 If that wasn’t enough, then it will please you to know that this funnel was made from a durable, medical-grade and antimicrobial silicone that keeps eliminates moisture and germs.